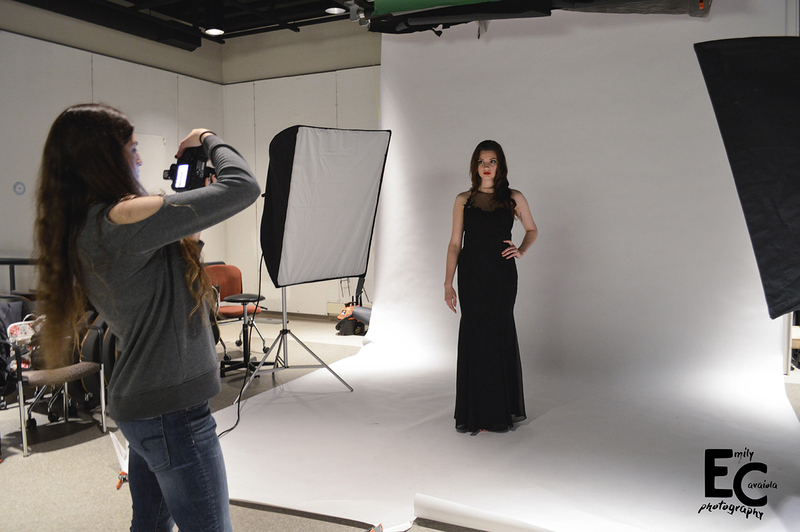 When coming up with photoshoot ideas for the 44th Annual Cazenovia College Fashion Show: Modern Masquerade the Promotion team, led by Charlie Crouse, Iriscelis Tirado and Hannah Fitzgerald, took inspiration from the various times in history that masquerades took place. From the iconic masquerade ball in the Phantom of the Opera, to Spanish Masquerade, and Mardi Gras, it was hard to choose just one idea to base the entire shoot on. In the end, they didn’t choose and decided the more the merrier. There were three different photo shoot themes: Classic, Spanish and Mardi Gras. Each theme brought a different element to the table. The classic theme brought a sense of elegance and mystery, and while the Spanish theme strived for elegance it was represented by a sultry tango. Lastly, Mardi Gras was to be fun and playful in only the way that Mardi Gras can be. Three photoshoots meant the promotion team needed more models. Luckily the model call that was held via photo submission until February 17 had a good turnout of 40 people. Of those submitted, seven models were chosen in the end. The classic photo shoot was photographed by Jamie Issacs and the models were Jasminque Harrison, who posed solo, and Hannah Fitzgerald and James Chantry. Both the Spanish Masquerade photo shoot and the Mardi Gras shoot were photographed by Tahiry Fernandez. The models for the Spanish photoshoot was Alexandra Lopez and Keivontay Williams, and Katrina Deminski and Haley Rodger were the models for Mardi Gras. STAY CONNECTED! 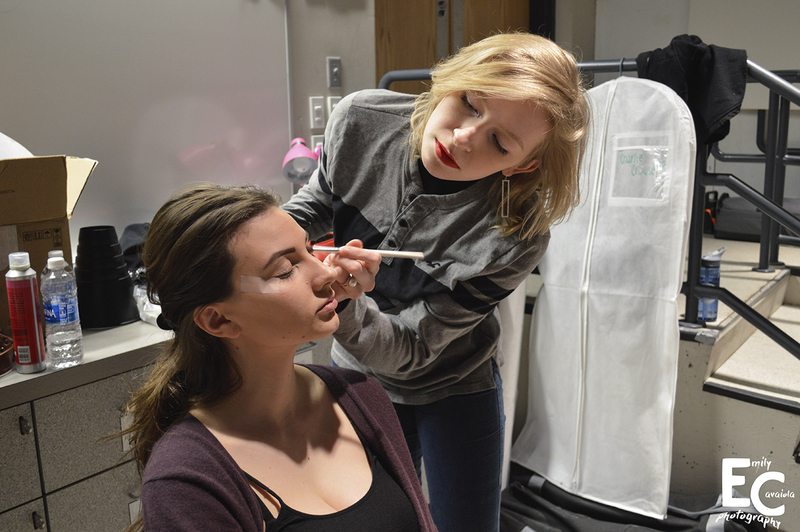 Follow the Cazenovia College Fashion Show on social media and use the hashtag #CazUnmasked. Find us on: Facebook, Twitter, Instagram, Pinterest, and Snapchat, and visit www.cazenovia.edu/fashionshow for more information.